Bar Mitzvah is a religious function celebrated in the Jewish tradition when a Jewish boy turns 13 years old. In fact, it involves certain ceremonies and other things allowing the boys to get spiritual maturity after they become mature. According to Jewish philosophy, a boy has the ability to analyze the depth and complexity of life when he attains adulthood at the age of 13. The event often includes parties, new clothes, and foods to make the occasion a memorable one. A celebrant will be allowed to deliver a speech in a party after being awarded an adulthood title. 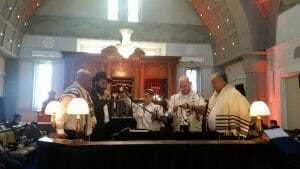 How is a Bar Mitzvah celebrated? Although Bar Mitzvah celebrations may vary with communities, the basic components remain the same. Below are some tools and deeper insights available for making preparations for the big day. In case you are looking to celebrate your event is Israel here there are more details. Tefflin are two leather boxes that contain Torah verses usually worn by a Jewish boy during the morning prayers. Jewish boys who are on their Bar Mitzvah age should wear one on the head and another one on one arm with leather straps. They always serve as the mark of honor while celebrating the event. Parents and grandparents usually buy Tefflin with special pride in order to make the occasion a memorable one. Aliyah in Hebrew means “going up” that involves the act of being called for reading Torah in the synagogue. However, some may face troubles on reading a section from Torah and a designated lead will read the same loudly, while the boy reads along with him quietly. A boy should know more about the procedure of being called up to the Torah and blessings before and after the reading process. There are many things to do Bar Mitzvah party in Israel after the synagogue ceremony. It usually involves festive meals, dancing, and music. Anyone who is not able to organize the party on the actual Bar Mitzvah should consider arranging small celebrations on that day after selecting a date. It is necessary to focus more on the venue, the number of guests, food, beverages, themes, and entertainment options before planning a Bar Mitzvah party for making the event a special one in life. Nowadays, there are several sources available for knowing the tips and ideas for the party allowing parents to conduct an event accordingly. 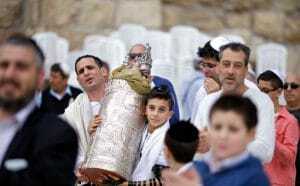 Those who participate in the party will present religious books and other things as Bar Mitzvah gift to a boy. In case you are looking to celebrate your event is Israel here is more details. A Bar Mitzvah boy should deliver the speech compulsory after reading the Torah synagogues which usually consist of thoughts from the Torah portion. In fact, the primary objective of the speech is to make sure that a boy will follow the Jewish tradition by sharing Torah teachings with others. Since Jewish adulthood involves several responsibilities, it is the duty of parents to prepare a boy for the event with more focus and attention. The best way for the preparation is to provide an education at a Jewish school for getting ready for the occasion without any difficulties. Check out our large selection of beautiful Bar Mitzvah Gifts at amazing prices! Celebrate the special young man in your life with a unique gift from Israel!